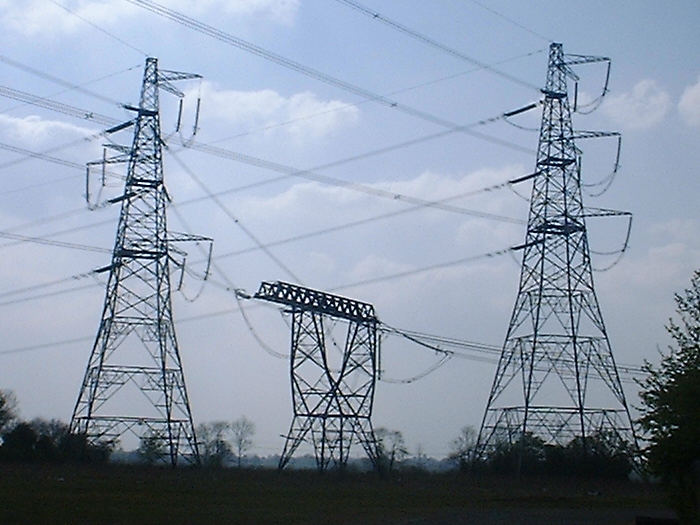 These pylons are located in a field on the edge of Cressing village. Their purpose is to route wires from the pylons on the left under another line supported by the pylons on the right, in order to route the first set into a substation which is out of shot, beyond the trees on the right. I've never seen this design before and would assume the centre pylon at least was purpose built. Because of their unusual nature - and their accessibility, you could walk right up to them - these are my favourite UK pylons.